Dubai - Upon your arrival at the airport, meet our representative awaiting just outside the arrival hall, past the customs area & currency shops. Later you will be driven to a hotel in Dubai for overnight stay. In the hotel our representative will brief you about tour starting the day after. For overnight stay at your hotel. Dubai-City Tour: Post breakfast at hotel, our local representative will pick you up for your city sightseeing tour which begins in this morning. Dubai City Tour begins with an intriguing historical excursion; the route will take you to the magnificent Jumeirah mosque; past modern palaces sprawled along the coast. Further in the tour you will be driven to Bastakia where a brief halt will be taken which will provide you ample opportunity to gaze at fascinating old wind-tower houses built by wealthy merchants. While in the vicinity pay a visit to nearby Al Fahidi Fort which is about 150 years old. Here, the Dubai Museum records the city's past as an important pearl diving and trading center. Further continue your journey via Abra (local water taxi). 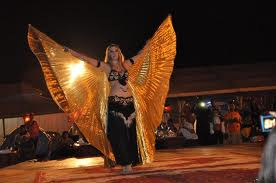 Later this evening you will be provided the most delighting experience that of setting on a Desert Safari. A 4X4 takes you to the interiors of the desert through a roller-coaster ride on the sand dunes. Continue to Bedouin camp; situated right in the middle of the desert. Treat yourself with soft drinks, coffee, tea and enjoy camel rides, feast on a lip-smacking Arabic BBQ dinner and shake a leg along with live performers dancing their way on the beats of Arabic music. 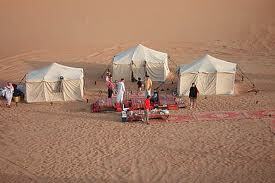 All the while, you can recline in tents and watch the splendour of the star-lit desert sky too. Overnight stay will be at the hotel. Dhow Cruise: You have a day free at leisure to explore Dubai on your own. 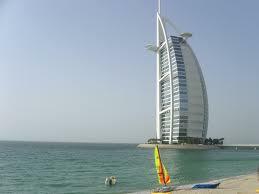 You can visit the famous Mall of Emirates or visit the magnificent hotel, Burj al Arab. 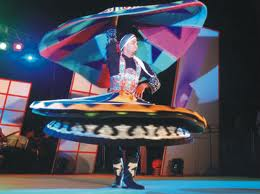 Alternatively, you can also indulge in world class water sporting activities in Dubai. 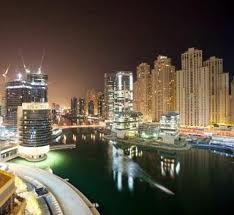 Today's evening in Dubai will bring a romantic Dhow Cruise. As you embark a Dhow (a traditional wooden boat) under a moonlit sky the entire ambiance will be silent and relaxing ideal for your very first romantic rendezvous with Dubai. As the Dhow floats on the crystal clear waters the backdrop of the city adds charm to the concept of glamorous Arabian Nights. 03 Nights accommodation on specified hotel. Anything other than specified in the inclusions section. I have really enjoying my time which I have spent on Dhow cruise e Dubai. I and my friend enjoyed a lot there.